Whether you need care for a loved one, someone under your care or for yourself, Value Care offers the perfect solution. Some clients may need just a little help, while others require ongoing support. Since 2007, thousands have relied on us to refer the most experienced, empathetic and qualified caregivers for professional care services. Our special programs offer REAL VALUE to assure your satisfaction. These satisfied clients have helped us to attain the distinction of being the leading Nurse Registry in the State of Florida. Based in Florida, we proudly service South Florida (Broward, Miami-Dade & Palm Beach Counties) and Tampa & surrounding areas (Hillsborough County). The caregivers we refer will be there for you at: your home, hospitals, nursing homes, retirement homes, assisted living communities, hospice care facilities, independent living communities, skilled nursing facilities, rehab centers or senior living communities. We also work hand in hand with other resources in support of your best care referral schedules and outcomes. They include hospice organizations, Medicare home health care companies, care managers, and more. You deserve peace of mind. We have the perfect solution for you. 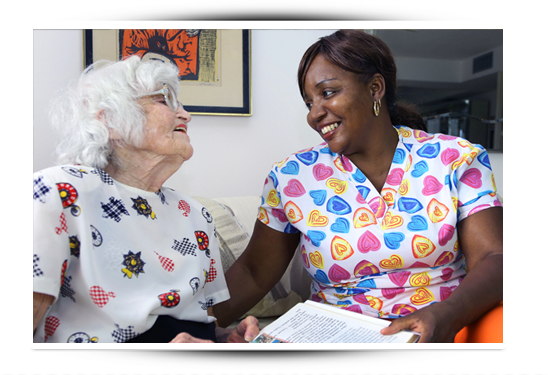 When you hire a care professional referred to you by Value Care you can rest assured knowing that you will be matched with a compassionate and professional caregiver who will diligently address all of your needs. Additionally, you will also benefit from our industry leading caregiver recruiting system. Cost Savings: Pay Less, Get More Care! You Save 25% or more off average industry prices! Control: You decide: the continuity of care, the professional caregiver, the number of visits and the care services you desire. Flexibility: You choose between unlimited hourly or around the clock care referrals. Convenience: You will receive 24 hours a day, 7 days a week dedicated on-call Customer Service! All of your calls are always answered by our own staff, not by an outside answering service. Top Quality: The caregivers we refer to you are screened and tested well beyond the State of Florida requirements. We ensure that you are referred only the best caregivers through our Five Star Promise. Peace of Mind: Your loved one will only be matched with the Most Compassionate and Qualified Caregiver through our one of a kind Care Match Program. Integrity: We don’t play games with your care. We promise to provide you with excellent value, and access to great care referrals. We back up this statement with our First Day Satisfaction Guarantee. We RECRUIT, interview and carefully screen experienced caregivers in person with our dedicated referral specialist team. We MATCH you with the best professional caregiver using our CARE MATCH PROGRAM — designed EXCLUSIVELY by Value Care to thoroughly understand your care needs and confirm your satisfaction in the important first days of your relationship with your referred caregiver. How We Keep Your Care Costs Lower! Your savings mean more hours of one-to-one care: Why pay 25% more elsewhere? Value Care accepts assignment of most long term care polices. You can manage all the claims processing and administrative duties directly, or if you prefer Value Care will coordinate with a third party on your behalf to do this specialized work for a small administrative fee. Introducing our extraordinary commitment to helping you find the right caregiver. We want you to find the right match. If for any reason you are dissatisfied during your first referred caregiver visit, just dismiss the caregiver and Call Us within the first four hours. Not only will you not be charged for this visit but four hours of your next visit will be FREE with a new referred caregiver. It’s that simple! Applies to first-time clients seeking two or more days of referred care. Visit must include personal, hands-on care. The Value Care referral fee remains the same with each referral. Program is Subject to Change Without Notice.